Is Psychiatry A Science. Or Pseudoscience? The American Psychiatric Association claims that “Rigorous, published, peer-reviewed research clearly demonstrates that treatment works.” Note that it doesn’t mention the word “scientific.” This is because psychiatric studies are based on opinion, subjective tests and wishful thinking. Science is the systematically arranged knowledge of the material world that has been gathered in a four-step process: 1) observation of phenomena; 2) collection of data; 3) creation of a hypothesis or theory by inductive reasoning, and 4) testing of the hypothesis by repeated observation and controlled experiments. And it should be workable and invariably right for the body of knowledge in which it lies. In 1995, Dr. Rex Cowdry, psychiatric head of the U.S. National Institute of Mental Health, told Congress, “We do not know the causes [of any mental disorder]. We don’t have the methods of ‘curing’ these illnesses yet.” Further, “the ultimate goal” of “preventing [schizophrenia] has largely eluded scientists.” In the same breath, he asked the government to hand over more than $558 million in annual research funds—which today, has now escalated to over $1 billion a year. No brain scan, blood or other physical test has advanced the “science” of psychiatry since then. 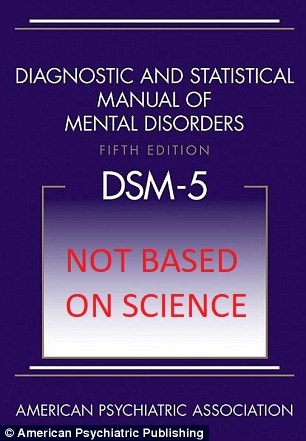 Today, psychiatry and psychology’s claims are classic junk science.